Size of this preview: 476 × 600 pixels. Other resolutions: 190 × 240 pixels | 635 × 800 pixels. 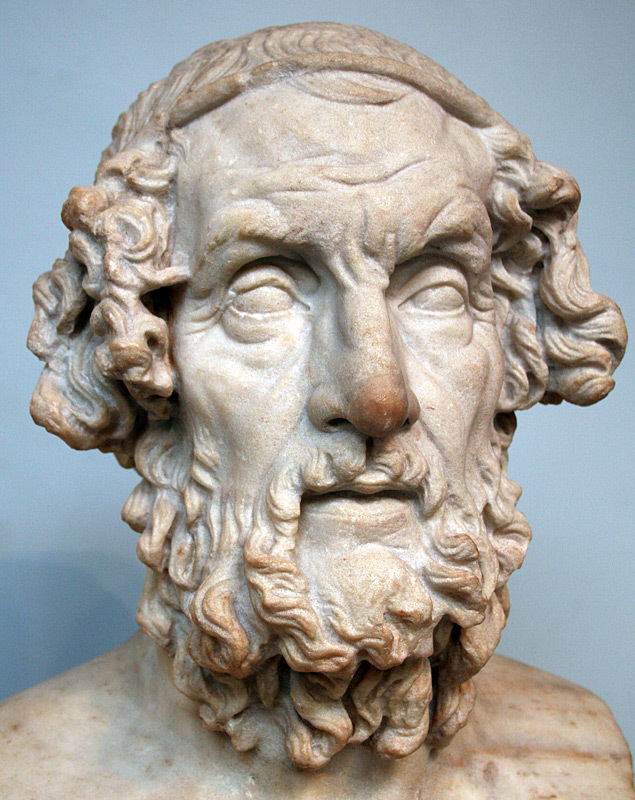 Photograph taken of the bust of Homer in the British Museum, London. Marble terminal bust of Homer. Roman copy of a lost Hellenistic original of the 2nd c. BC. From Baiae, Italy. The so-called Hellenistic blind-type can be paralleled with figures of the Pergamon Altar, and the original of the type was perhaps created for the great library at Pergamon. Later versions were uploaded by ChrisO at en.wikipedia. This work has been released into the public domain by its author, JW1805 at the Wikipedia project. This applies worldwide. JW1805 grants anyone the right to use this work for any purpose, without any conditions, unless such conditions are required by law.